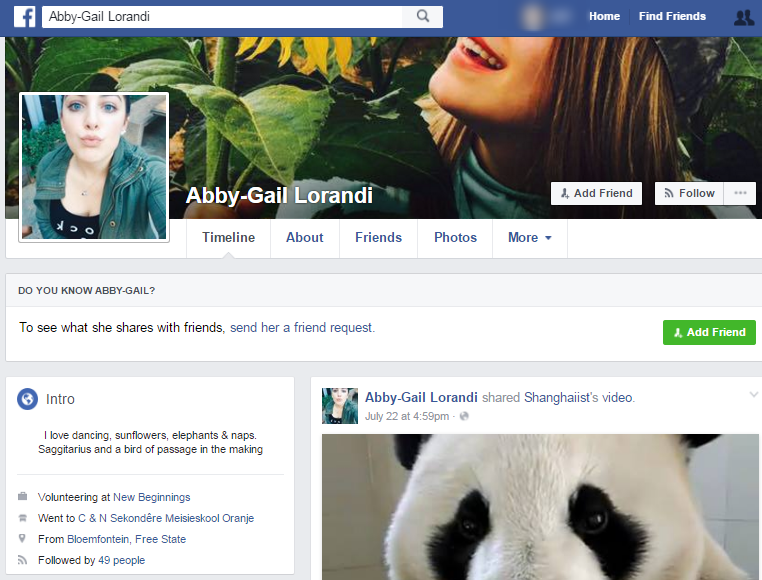 Stop by Abby’s Facebook profile and let her know how you feel about this. 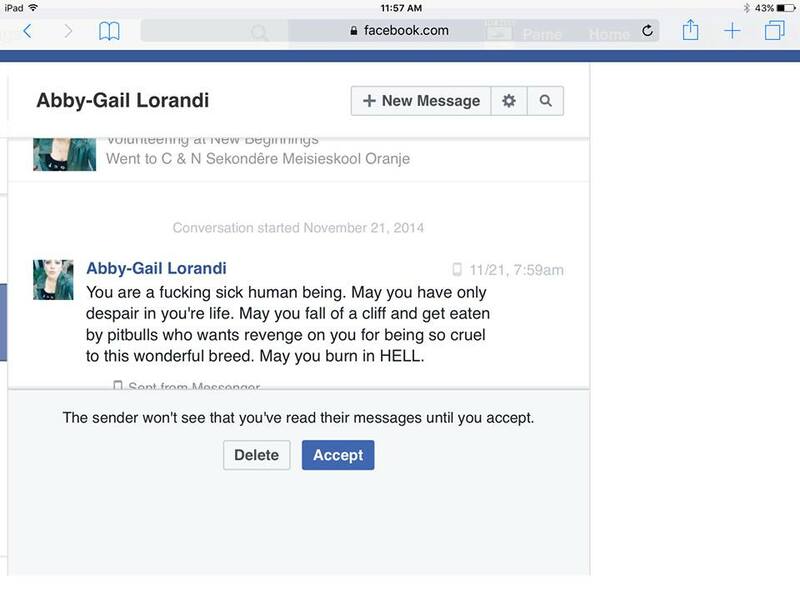 This entry was posted in hate mail and tagged Abby-Gail Lorandi, Hateful messages to pit bull attack victims. Bookmark the permalink.